Earlier this year, I had the opportunity to work together with some data scientists on an algo trading project. Team members were scattered around the globe. In order to train and test several models, we wanted to share an existing local 20 GB database containing 10 year of historical data for more than 50 different currency pairs (1 minute bars). the data base administrator can grant access to new folks during the project, if needed. Amazon Relational Database Service (Amazon RDS) is a web service that makes it easier to set up, operate, and scale a relational database in the cloud. It provides cost-efficient, resizable capacity for an industry-standard relational database and manages common database administration tasks. 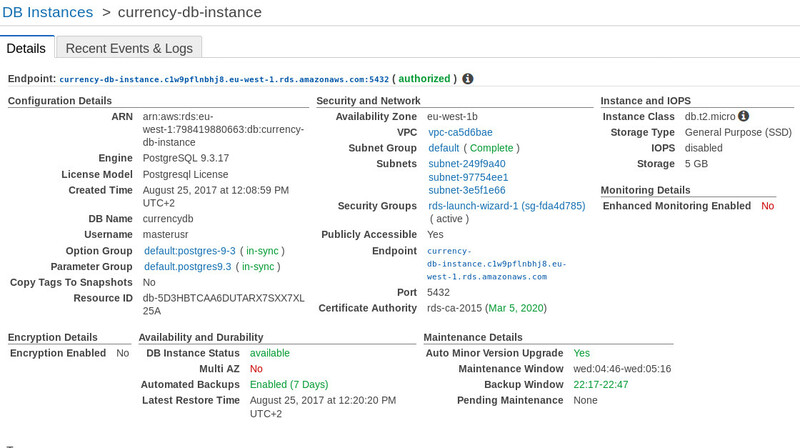 Amazon RDS supports several databases like Oracle, MySQL and PostgreSQL. 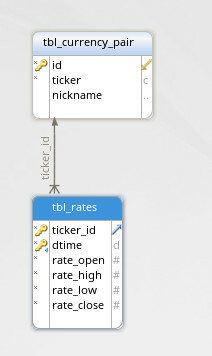 The example database contains 2 years of historical prices (hourly bars) for seven currency pairs: AUDUSD (also nicknamed with a funny name: “Aussie”), EURUSD (“Fiber”), GBPUSD (“Cable”), NZDUSD (“Kiwi”), USDCAD (“Loonie”), USDCHF (“Swissy”) and GBPJPY (“Gopher”). Keep in mind, that you need to have an account with Amazon (AWS login username and AWS password). In order to sign up, you have to register your credit card number, but they won’t charge you till you pass the Free Tier limits (o.a. 20 GB storage). You can create up to 40 (!) instances. 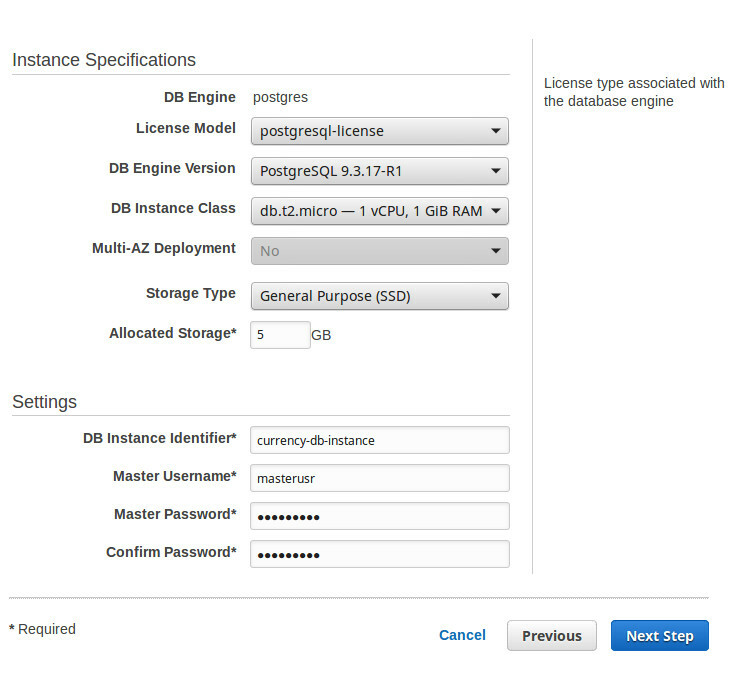 In the screens that follow, you can simply select the default settings and hit “Launch DB Instance”. Please be patient! It can take a while till the DB Instance has been created as the status moves from creating… to backing up… to available…. Technical note: to make this all work, the instance should be accessible from TCP/IP connections! This was for me the showstopper for using the (further excellent) web hosting pythonanaywhere.com as they do allow to connect to the database from TCP/IP. AWS, however, supports this feature by choosing the appropriate security group. Be patient. Making a dump from a large database can take a while! Again, be patient! Restoring a 20GB dump file, took about 1 hour on my laptop. I got some messages on the command line, like “role postgres does not exist” but they seem to be harmless as the process went through. Technical note: Why did we define a team role before granting permissions to our team mates? The advantage of having a team role in place, is that you can now modify the permissions for all team members at once by just changing the permissions for “myteam”. For example, some day you may decide to upgrade access for all team members from just selecting records (GRANT SELECT) to modifying records (GRANT INSERT). Now you should be ready to distribute the credentials (username and password) among your team mates, thereby granting them access to all data in your database. 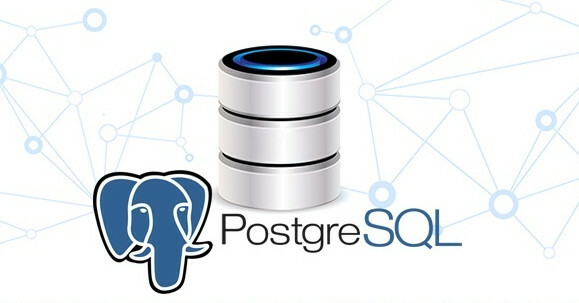 Do you prefer trying first by logging into the example database discussed in this post? Feel free to drop me a line and I’ll be happy to provide you with its credentials!